Monday was the Fourth of July so we had a cookout and I made a four berry, berry pie. Complete with a happy star. 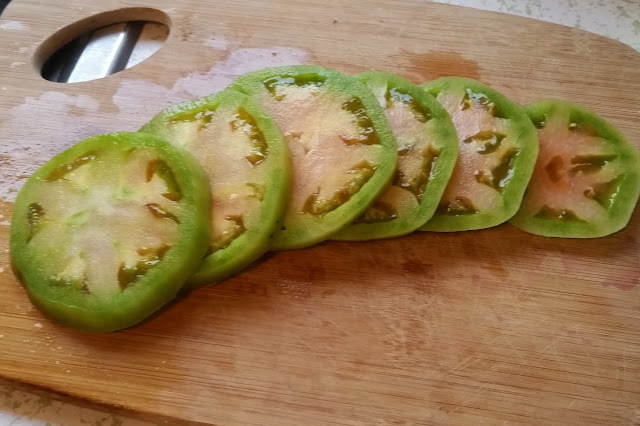 Our tomatoes were finally ready to be made into fried green tomato sandwiches. A favorite summer meal. Every day, during the late afternoon, a wicked storm has come by, and fills the sky with dark swirling clouds. It was another very busy week at work, with a few 10 hour days. Hopefully this week will be less crazy!